Do You Want to Live in a House Boat? Home › Culture › Do You Want to Live in a House Boat? Per-Andre Wiberg is the founder of Liquid Property in Norway. Seven years ago, he launched the project Fluid Property; a type of boat that has never been shown in Norway before. He explains that there is an increasing interest for people to stay at sea. – I have traveled across Europe and visited ports and houseboat manufacturers. I came in contact with a Finnish designer, Guy Lönngren, and the boat, Bergen Design, is now under production (See photo). The boat will be completed this summer, but it can only be ordered by request, says Wiberg to Aftenposten. According to BBC, about 15,000 Britons live in a boat, and the British government provides financial advantages to get more people to choose this form of housing. In Norway, Wiberg estimates the number to be a couple of hundreds. The greatest concentration is around Aker Brygge, Oslo City. – We can solve the housing shortage in urban areas using house boats. Our long and beautiful coastline is perfect for this kind of housing, says Wiberg. He also tells that there in recent years has been an increasing demand for floating homes. After several requests, the Norwegian boat producer Askeladden is considering producing floating homes. – it is a sign that the demand is strong, says Wiberg. The floating homes can be mounted in just three days. In addition, you do not have to be at sea to live in them. 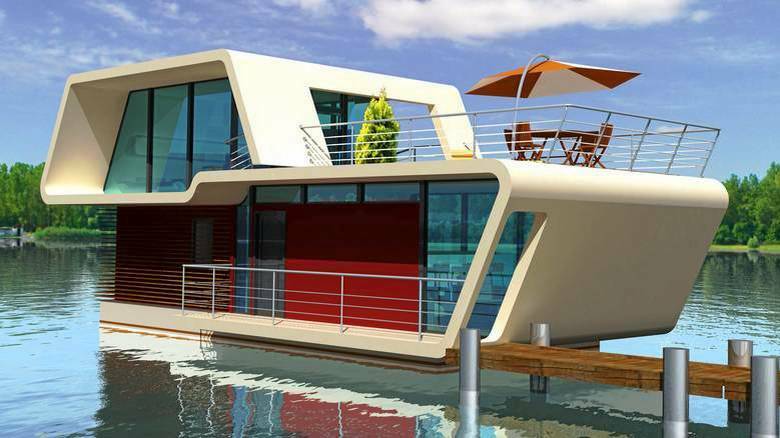 – We are excited that floating homes could also be stationed on shore. It is both affordable and requires less maintenance. It could actually be a threat to the construction industry, Wiberg continues. The house boats are registered as ordinary boats. Tone Bergsvåg has lived in a car ferry since 2004 with her two children. She is a close friend of Wiberg. – I know many people who live in a boat, and it appears that more and more people are considering doing the same. It is absolutely perfect and very calming. It is close to the sea, and I have much more space here. I would recommend anyone to try it, she says. Editor’s Note: Beachfront properties are very expensive. If you live on a boat, you do not have to pay for the view. It’s free! Hey Troy Carter, you can have my old boat!